We are now seeking contestants to compete for the title of Miss Nationwide® 2019. The entry deadline is July 1, 2019. To be eligible, a contestant must be between the ages of 18 and 30 by August 1, 2019; be single, never married and never been pregnant. You must also reside, work, or attend school in the state you choose to represent. 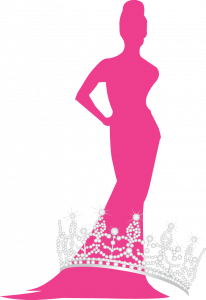 We are now seeking contestants to compete for the title of Mrs. Nationwide® 2019. To be eligible, a contestant must be at least 21 years of age by August 1, 2019; legally married, with or without children and living with her spouse. She must also reside or work in the state she chooses to represent. …We are now seeking contestants to compete for the title of Ms. Nationwide® 2019. Currently there are no state pageants, however, you may apply for your State Appointed Title. Please be aware that State Appointed Titles are NOT awarded on a first-come, first-serve basis. Submission of your State Appointed Title application does not guarantee a Nationwide title. Your application will be reviewed by our National Director and a Selection Committee. Upon approval, you may choose to represent your state (eg. Miss/Mrs./Ms. California Nationwide) provided you meet the Nationwide Pageant system qualifications. State Appointed Titles are available with a State Fee of $295. This fee covers your official Nationwide State Crown and Rhinestone Sash – NO other style of crown or sash will be allowed to be worn during your year of service. Approval of State Appointed Titles will not be given until the State Fee is received by the National Office. Each contestant will then receive their official Miss Nationwide state titleholder crown and satin-embroidered rhinestone sash. Sashes will contain the selected title, the year, and the Nationwide logo. The National Pageant Sponsorship Fee is $350. Various payment option are available. National Pageant Sponsorship Fees will be due on deadlines based upon your State Title approval. You must have a official State Pageant or an State Appointed Title to compete at the National Pageant. The National Program Book – Design & Page Fee is $175. State Appointed Titleholders are required to have a 2 page ad in the Official Pageant Program (Titleholder page and Personal Platform page). Professional Design fee is included in the Program Ad Fee. Each Nationwide Titleholder is also responsible for selling One (1) Full Page color advertisement page ($200) for the National Program Book. This is not a page that the contestant is responsible for paying for, just simply selling/securing the page from family, friends or businesses in her town, community or state to help show support of her efforts as she competes for the National crown! Residency Agreement: (required) I agree that I reside, work or attend school in the above chosen state. I certify that I am a naturally born female and meet the age requirements set forth by the Nationwide Foundation & Pageant to compete in the Nationwide 2019 division I qualify for. I certify that I am of good moral character and if selected as Miss/Mrs./Ms. (State) Nationwide 2019, I will represent myself and the Nationwide® title in a positive and appropriate manner throughout my reign. I authorize the Nationwide Foundation & Pageant to utilize my photographs and likeness in current and future advertising for the pageant without compensation. If I am selected Miss/Mrs./Ms. (State) Nationwide 2019, I will provide the Nationwide Foundation & Pageant with two color photographs of myself wearing the Nationwide® State crown and sash. One must be a head shot and the other a full body shot. These photographs should look as professional as possible, but do not have to be professionally produced. Any cash scholarship, if offered, will not be awarded until the successful completion of the Nationwide titleholder’s year of service. If selected Miss/Mrs./Ms. (State) Nationwide 2019, I will provide the Nationwide Foundation & Pageant with any updates and/or photographs from any appearances I make as Miss/Mrs./Ms. (State) Nationwide 2019. I understand that the judge’s decision and results are final. I also understand that once the sponsorship fee is paid there will be no refunds under any circumstances. Additional rules, regulations and guidelines are detailed in the Contestant Agreement / Rules & Regulations documents. 2019 Contestant Documents are now available!